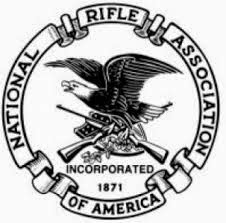 New York's Rifle & Pistol Association has declined to participate in the pro-gun rally tomorrow. My Take: "Divide & Conquer" is the method to defeat political enemies, and any time we're fractured in the cause of 2A, it presents a vulnerability to be exploited by the nannies and the statists. That said, this statement above by the Association is tapping into some wisdom by an experienced political man - nervous about losing credibility from some of the nuts and provocateurs out there. Events are great, but I think this is evidence that the organizers could have coordinated a little better to secure buy-in early, perhaps by vocalizing more clearly what the rally should _not_ be: fanning flames, a soapbox for unrelated, socially conservative issues, etc.